No detail overlooked and no expenses spared here! Two homes on one lot, each with its own utilities. Front house has being completely remodeled with a brand new addition of 500 Sqft completed in 2018. Back house is brand new, built in 2018 featuring 2 beds, 1 bath, full gourmet kitchen and living area. 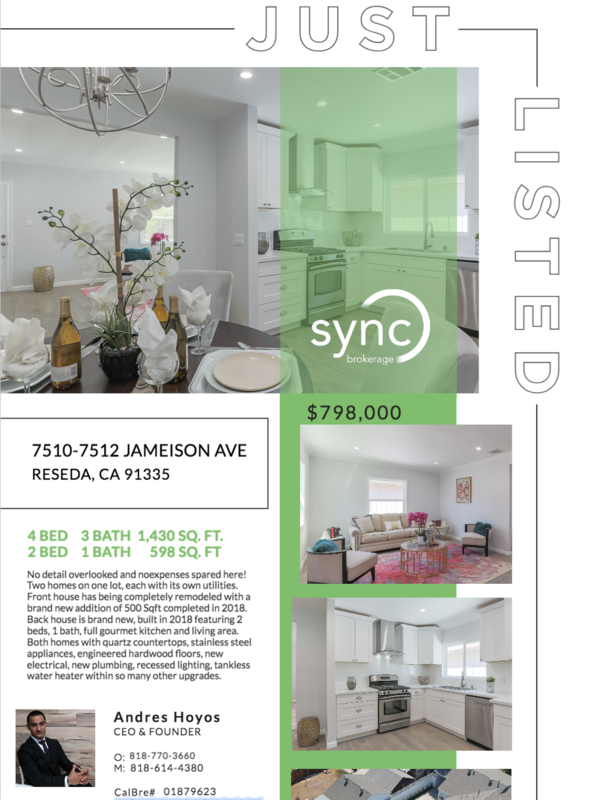 Both homes with quartz countertops, stainless steel appliances, engineered hardwood floors, new electrical, new plumbing, recessed lighting, tankless water heater within so many other upgrades.